Haramut Landscaping has been keeping properties clean since 1989. We offer both spring and fall cleanups. By allowing us to do your cleanups you won’t have to deal with the hassle of removing the leaf and stick debris that New England weather brings to our properties. In addition, we remove thatch from your lawn during our spring cleanups and get the tough leaves out of your gardens. 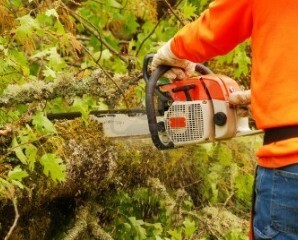 We also clear wooded areas to expand your lawn and property.